Kiryas Joel, NY - After more than 10 years of legal wrangling with a Kiryas Joel property owner, Orange County has finally agreed to settle a lawsuit that has cost more than half a million dollars in legal fees. 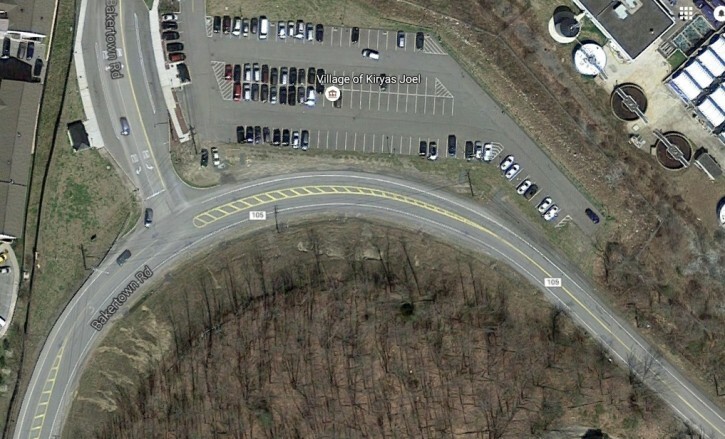 A joint 2006 project undertaken by Orange County and the Village of Kiryas Joel to improve the safety of the Bakertown Road and County Route 105 intersection had the county invoking its right of eminent domain to seize 1.5 acres of roadside land belonging to Mount Kisco resident Irving Bauer. Bauer, who bought 70.5 acres of undeveloped land off Nininger Road in 1989 as an investment, had been holding the property for years, hoping that the value of the land would increase substantially, as previously reported on VIN News (http://bit.ly/2fri9GV). During the trial Bauer insisted that the property seized was worth $1.1 million because of its potential as the future site of 1,000 Kiryas Joel style housing units and that his entire property was worth over $50 million. Experts for the county valued the property only as vacant land and argued that the site, located across from the State Police barracks, lacked an adequate water supply which diminished its value for any future development projects. A State Supreme Court judge ruled in favor of the county in 2013, reported the Times Herald Record. Two years later, that decision was overturned by an appeals court which refused to accept either of the two appraisals offered, sending the matter back to State Supreme court for a new evaluation of the property, the last large parcel of undeveloped land in Kiryas Joel. After years of refusing to entertain any offers of development on his acreage, Bauer appears to have relented. Over the last several months Yiddish newspapers have advertised a development named Vayoel Moshe comprised of 1,500 homes to be built on Bauer’s land. A $375,000 settlement offer made by Bauer’s attorney in September was accepted by the county last week, with the formal court settlement signed on November 3rd. Kiryas Joel officials said that official site plans for the Vayoel Moshe development have yet to be filed. A 2005 agreement between the Village of Kiryas Joel and Orange County that had Kiryas Joel agreeing to compensate Orange County for all costs and expenses associated with the acquisition of Bauer’s land for the road improvement project has become the focus of a second lawsuit. Orange County is suing the Village of Kiryas Joel for the cost of the legal fees incurred in the eminent domain lawsuit, estimated to be over $600,000. is this gonna part of the real Satmars Kirya or the Zalis? They will each have a big shul there.
" the site, located across from the State Police barracks, lacked an adequate water supply"
The land is an undeveloped forest; of course it has no water supply. These people will try everything to give KJ a hard time. What they accomplished is people are moving into the surrounding towns and they will soon outnumber their enemies in the entire area. The yiden are not going anywhere. What difference does that make after the way this entire incident has played out. You're missing the whole point !!! I have been away awhile and this is now big news in Woodbury and Monroe. Will this be available to low income and minorities. I drive or bike by everyday. ?